Pour into 4 tall glasses. 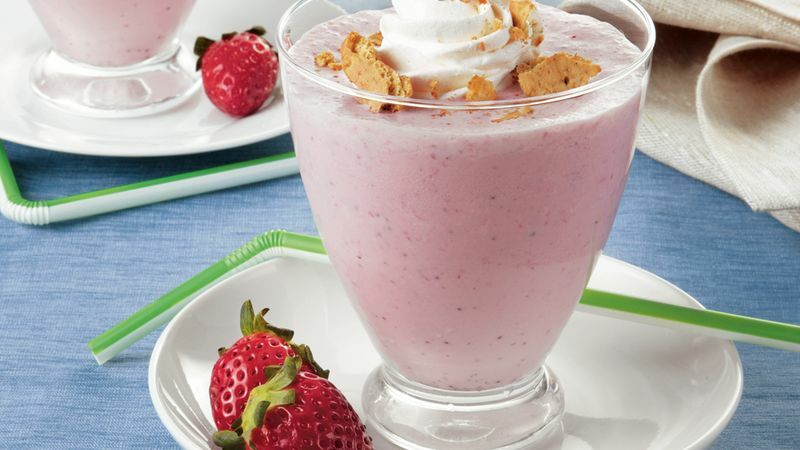 Top each shake with whipped cream topping; sprinkle with cracker crumbs. Garnish with whole strawberries. If fresh strawberries are not in season, substitute frozen unsweetened whole strawberries. You may need to add a bit more milk to thin the milkshake, because frozen fruit will deliver a thicker consistency.